Our textile processing technology holds high technical skill with long experience and processing know-how accumulated in history. In addition, we are actively working on developing new processing technologies independently. 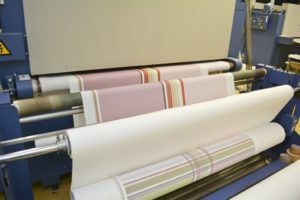 Below is a list of possible textile processing technologies available at our company. Water absorption SR processing It makes it easier for dirt to fall by making dough easier to absorb water. PE, NY It is easy to absorb water, making it easy to fall down. 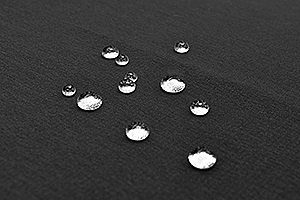 Water absorption quick drying. 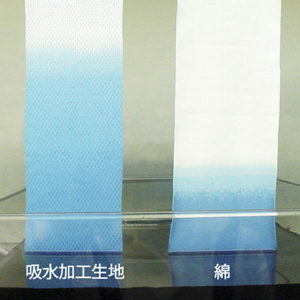 UV cutting processing t is processing that improves UPF by shielding ultraviolet rays. NY It may not be improved depending on the material used. ※ For transaction unit price please contact our sales representative. For inkjet processing, gluing and image processing costs are required separately.